My second swim meet ever, the MSABC provincial championship, was a great experience, and not just because I was very happy with most of my races. Earlier in the week, my body showed that it was not ready for a 15-minute run after 10 months of struggle, treatments, rest, and a very slow easing back into running. The setback was very tough to deal with. Yet it also forced me to consider a new plan of action and by now I feel good about that. Three days of competition were perfect to take my mind off the things I cannot do at the moment, focus on what I can do -- and be grateful for that. Swimming has never been my sport of choice. And it takes a good dose of humility to compete at a different level than I have grown used to in the past few years as a runner. However, at the end of the day I love being active, I love competing, and I love setting benchmarks as targets to improve upon. Those are far more important than finishing at a certain level, and those are what helped me get "good" as a runner in the first place. It was a love for running that helped me improve from 2-hour 20K in 1997 and a 4:44 marathon in 2001 to the personal bests I set just a year ago. I did not get fast, or faster, overnight; I simply loved running and getting better, slowly but surely, made me love it even more. In the past four months I have certainly grown to enjoy swimming, mostly because it fills part of the hole that my temporary inability to run has left in my life, my soul. Swim training has allowed me to release all that pent-up mental and physical athletic drive that had nowhere to go for the last six months of 2012 into the pool. I trained three times a week, an hour at a time, over the past four months. From the start in January, the enthusiasm and approach of Squamish Titans swim coach Roseline Mondor-Grimm has helped me do that to an extent that I now look forward to each session, I am excited and motivated to train in the pool because it makes me happy. And the results showed this weekend. On Friday, I did a new distance -- in the pool at least, the 1500, and was stoked with my time of 25:56.03. I suffered a brief moment of panic as I started the third lap (counting 50s) when the mental weight of the next 27 laps hit me hard. I quickly refocused on my breathing, and counting sets of 10. I felt good and swam hard enough that I had trouble lifting my arms after the event -- no doubt in part also because I had not swum farther than a consecutive 800 recently. My splits showed I did the first 800 in 13:51, a 33-second improvement from the 14:24 I needed to do the 800 event in February. Yeah! I was psyched for the next two days. On Saturday, I swam the 400 in 6:28.32, compared with 6:59 at the meet (in the same pool) two months ago. I went hard in that race, high on the 1500 result and I must admit that I was a touch disappointed with the 6:28, given that I was timed at 6:33 in training about a week ago. But a 5-second improvement is a 5-second improvement, and I am closer to the 6:15 qualifying standard for the 2014 FINA World Masters. Later that day, I swam the 100 in 1:22.52, down from the 1:27 I did two months ago, and compared with the 1:20 worlds standard. Getting closer! On Sunday, we began with the 800 and I was stoked with 13:31.73. I felt a touch tired which I think helped me pace the effort well. The worlds standard is 13:20. Next up was the 200, and the 3:01.43 I did here might be the result I was most pleased with. It was 11 seconds faster than two months ago. The worlds standard is 3:00. Last was the 50. I was so determined to make the 36 standard but had to settle for 37. Or so I thought. The final official results list my time as 36.52. This was the first time I swam this distance in a meet, so I have no comparison. I am excited that it is so close to the worlds standard. The past six months have transformed me from someone forced to get back into the pool after a 7-1/2 year break, dreading the prospect, to a swimmer seriously considering taking part in the world masters championships, believing I have a chance to make the qualifying standards. That's right, four days ago, I said truthfully that aiming for the standards was a way to add focus and motivation to my swimming in general, and this meet in particular. Since the weekend, I am actually thinking of competing in Montreal next year should I be able to speed up enough. If I qualify, I would be among the slowest in my age group there but an opportunity to compete in a world championships in Canada might be too good to pass up. Never prejudge your potential. My transformation, mentally and physically, in the pool has also provided the perfect reminder for my efforts to restore my ability to run. Huge changes can take place in our body, and mind, over a relatively short period of time. If I can evolve from wondering whether I can cover the 25m length of a pool in October, to almost qualifying for the worlds in April, I believe I can transform my body into a better, stronger and faster version of the 3:00:29 marathon runner I used to be. 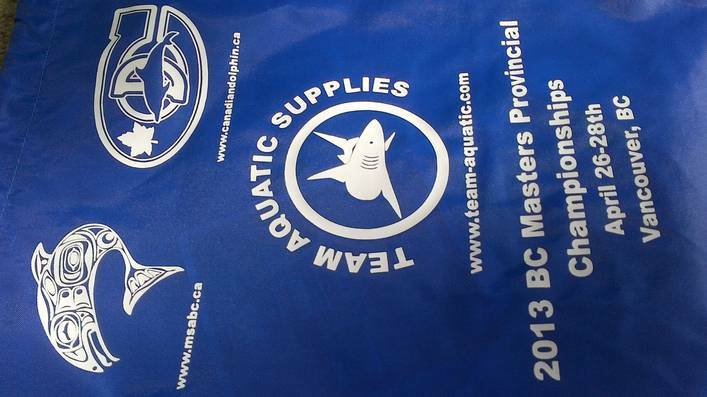 Click to read Triathlete Tim's report on the MSABC provincials.